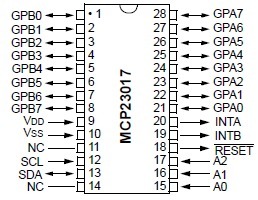 The MCP23017 is a 16-bit, general purpose parallel I/O port expander for I2C bus applications. The 16-bit I/O port functionally consists of two 8-bit ports (PORTA and PORTB). The MCP23017 can be configured to operate in 8-bit or 16-bit modes. 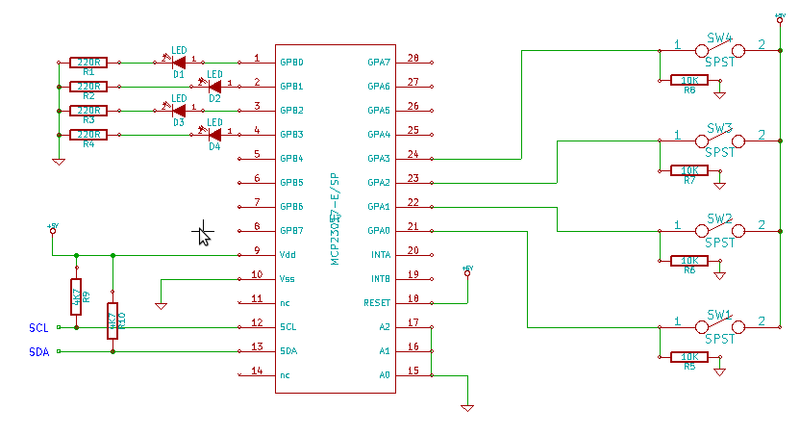 Don’t forget to wire all the Ground Pins of each tact to the Arduino Ground via 10Kohm Resistor and all the (+) Pins of each button to +5V. I am having a really hard time getting my mcp23017 to process multiple input buttons. I noticed that the image on this page (input via mcp23017) is the same image on the page that shows output via mcp23017. The code on this page mentions buttons, but there’s only an LED. Am I missing something?? ?